March is hailed as International Women’s Month and to celebrate here at STCF Poetry & Moore, I want to reintroduce you to an awesome woman with the super power to fill blank pages with imagery and imagination-provoking words for her readers to enjoy! Chicago author, Saneatra Polk, invites you into her world through fantasy, suspense, relative imagery and captivating details. And if you like The Haves and the Have Nots, you will most likely like her new short fiction series, The Hartsfields! Tannika: How was is it growing up in Chicago? What did you or kids have then you don’t see now or enough of? Saneatra: I feel like I had an atypical childhood because I was very sheltered. I didn’t play with the kids in the neighborhood, it was like go to school and come straight home. Being in the house so much and being bored, I think that’s where my writing came from. I had to have an imagination to get out of the house. Tannika: What issues/barriers do you think young, Black female authors have to break through? Saneatra: The barriers I face as a new author are getting and maintaining a fan base, and that’s why I started writing the short fiction series, The Hartsfields, to develop a fan base. I don’t think it’s a race or gender issue. As a new artist, you have to find your niche. Basically, do what works best for you. If you want to stay on the self-publishing route, you have to be willing to work extra, extra hard in addition to writing. Tannika: What’s your favorite book? What are you reading now? Saneatra: Truthfully, I do not read at all, but I’m yearning to go to a bookstore to pick out a book. I know it’s new school, with kindle and other e-readers, but I want to get a bookshelf and fill it up with books. Saneatra: I write to make people think and I write to entertain, to get people to use their imagination. I purposely leave stuff out to get my readers to use their imagination and to engage them further. Currently, in the novel I am writing, the character states he is from down south. I want readers to guess, to imagine where hes’ from exactly. I want them to use their imagination. Tannika: So, you are writing a novel? Saneatra: Yes, I am currently writing my first novel. I am trying to get up to 80,000 words. Tannika: How many words is it typical for a novel? Saneatra: A novel has typically 80,000+ words. Tannika: What are your writing techniques/habits? Saneatra: My technique is to create a character profile first. I describe each character and then I proceed to outline the whole book. Saneatra: I like to hear any story about people who work hard to achieve their goals and follow their dreams. I don’t really have one specific person that inspires me. Tannika: You self-published all of your books. How has the self-publishing platform benefited you? Saneatra: I thought I had to find a publishing company. That was the initial thing that was holding me back. Now the only thing that would hold me back is me. The benefit is that I could publish whenever I want. I don’t have to send out manuscripts or letters. Tannika: Basically, you can eliminate the middle man. Saneatra: Child, if only you knew my struggles! Tannika: What is the mantra you live by? Tannika: What do you want to convey to the world as an author and writer? Saneatra: This is where I think race and gender may play a role. 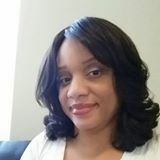 As an author, my message will be black women are capable of writing novels on the same level as Stephen King or Dean Kootz and that we don’t just write urban romance novels–you know, like Diary of Side Chick, Tales of a Bad ***** (I hope these aren’t real titles of books) or whatever. We are diverse and capable of pulling a sizable audience. As a writer, my goal will be to help others convey their feelings through writing. I just don’t want it to become a lost art. Tannika: What advice would you offer aspiring authors? Saneatra: My advice to aspiring authors is to work hard and to be persistent. Just be prepared to work; follow your passion. It may sound cliche but I repeat, work hard and stay persistent. I want to inspire artists to go after their passions. Don’t be afraid to go after those passions, those artistic fields. If you do what you love to do, everything else will follow. If you love to paint; if you love to cook; if you like to make people laugh, do it! For more information on author, Saneatra Polk, click here! To purchase her latest books, click here!